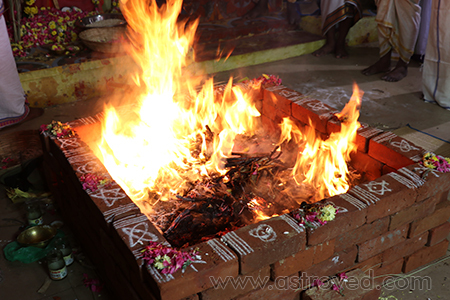 Performing the Garbarakshambiga Homa (Fire Lab) is believed to bless childless couples with progeny to carry on their lineage and lead a happy life. The joy of becoming a parent and bringing up a child has no parallels and forms the very essence of life itself. To experience this miracle called life, it is all-important to maintain the natural balance, which ensures the propagation of the human species. Women having trouble conceiving a baby are blessed by the Goddess of fertility, who nurtures them until the safe delivery of the baby. Garbarakshambiga Homa can remove all obstacles in the quest of couples to beget a child and also smoothen the process of motherhood. It is performed in honor of Goddess Parvati in the form of Garbarakshambiga and appeals to her motherly instincts to bestow offspring. She is the epitome of kindness and protects women, blessing them with a good life partner, a healthy child, and happy marital life. 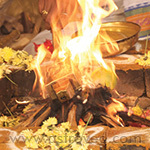 Couples desiring to start a family should perform the Garbarakshambiga Homa to seek the blessings of the Mother Goddess. Her divinity knows no bounds, and she answers the prayers of her devotees with love and affection. Complications arising due to pregnancy are resolved, and expectant mothers undergo safe delivery of their babies. The Fire Lab harnesses the benign energy of the Goddess to remove obstacles that hamper pregnancy and childbirth, while also nurturing the unborn child in the womb. 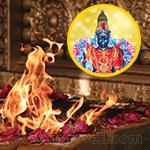 Garbarakshambiga Fire Lab is performed with great humility and surrender by qualified priests. The mantras chanted energize the ritual and enhance the efficacy of the procedure. The Panchami Tithi is the most preferred hora timing for performing the ceremony. 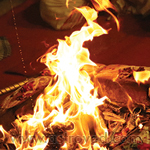 Garbarakshambiga Homa will be performed once every month for 3 months. Performing this homa can remove obstacles that hamper pregnancy and childbirth, while also nurturing the unborn child in the womb. 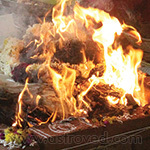 Garbarakshambiga Homa will be performed once every month for 6 months. Performing this homa can remove obstacles that hamper pregnancy and childbirth, while also nurturing the unborn child in the womb. 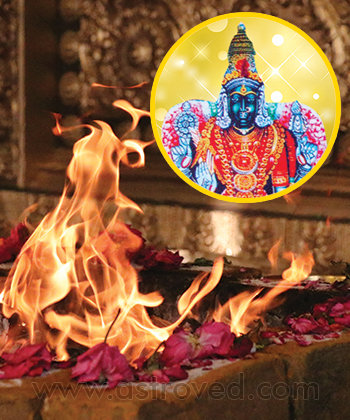 Garbarakshambiga Homa will be performed once every month for 12 months. Performing this homa can remove obstacles that hamper pregnancy and childbirth, while also nurturing the unborn child in the womb.